How to choose good Magento hosting? Very often our clients ask us for recommendations on which hosting company to choose for their Magento stores. If you plan to use full power of Magento, e.g. multi-stores feature, build-in performance optimization modules, it is highly recommended to choose right hosting from the very beginning. We will not advertise any hosting providers in this blog post, instead we gather here the most important and serious questions that you should discuss with any hosting provider. Apache files compression is the fastest way to improve your Magento website speed and performance. It is recommended to check compression status before and after compression activation. You can easily check compression and data savings level using http://www.whatsmyip.org/http-compression-test/ online service. Many people receive error 500 during exporting of all products in Magento. Usually error occurs during execution of the "Export All Products" export profile in Magento back-end. Well, we have long been interested in how fast will Magento work on NginX server, finally we've got a chance to test this. 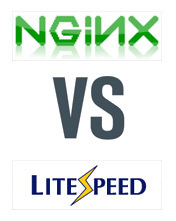 One of the clients has moved his Magento-based store from Litespeed server onto NginX one.